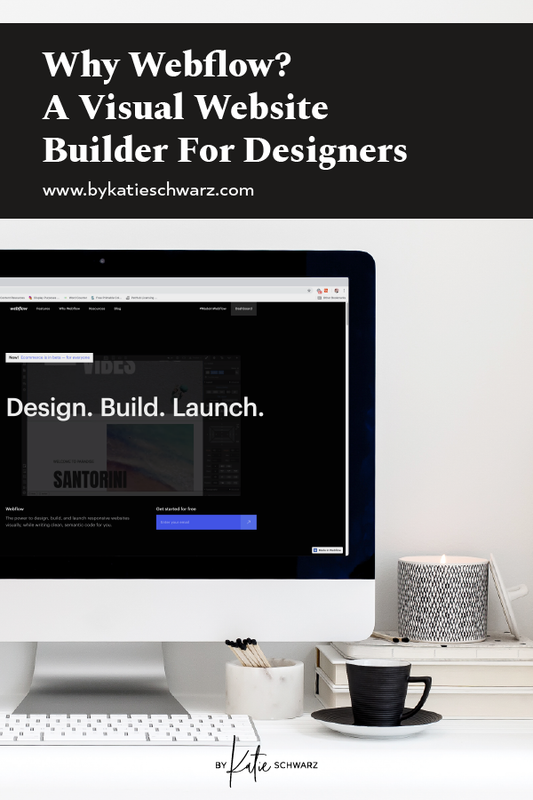 If you're part of the creative entrepreneur world, you've heard of Squarespace, WordPress, Showit, and probably Wix and Weebly. But you may not have heard about Webflow. 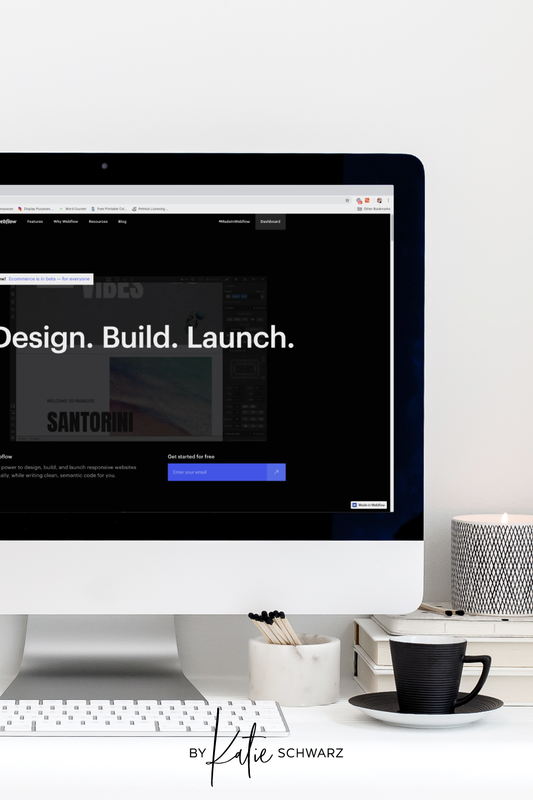 While every website platform has its strengths and weaknesses, Webflow is a really great platform and deserves to be a contender for your creative biz. 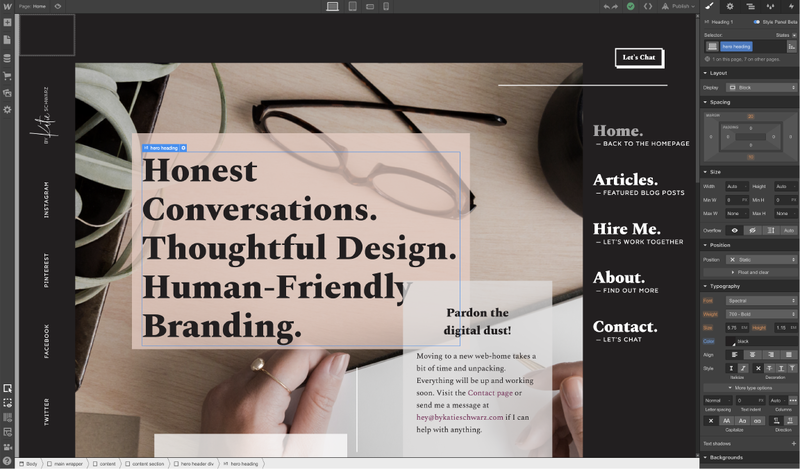 So, without further ado, here are 5 reasons you should use Webflow to build and host your creative business website. 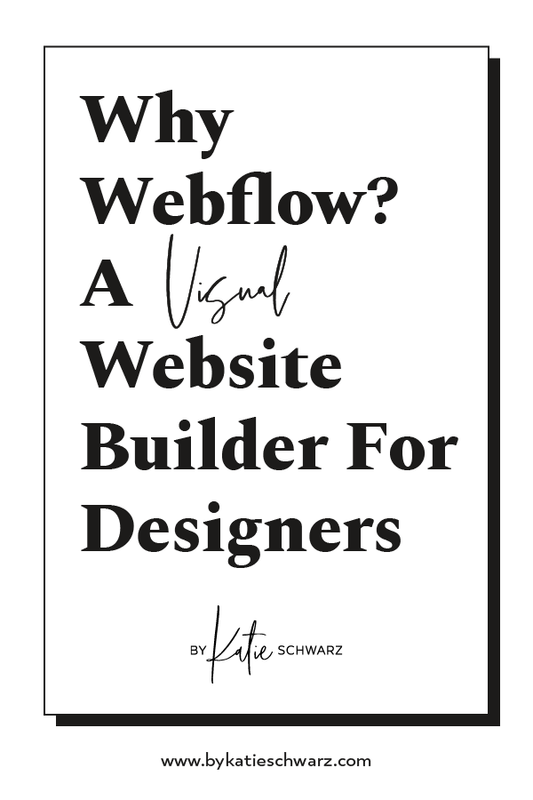 Disclaimer: Iâ€™m a Webflow affiliate and some of the links in this post are affiliate links. That means that I may earn a discount or commission if you make a purchase or sign up. However, I only recommend products that I use and love. Disclaimer: This isn't really computer code. This is a made up image to illustrate my point. 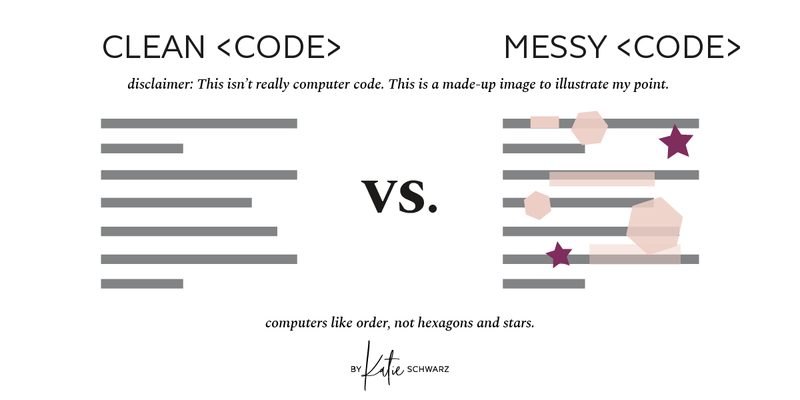 Computers like order, not hexagons and stars. Or, for the non-tech-savvy, a Content Management System. Itâ€™s the system behind blogging. Wordpress.org is a very popular Content Management System. 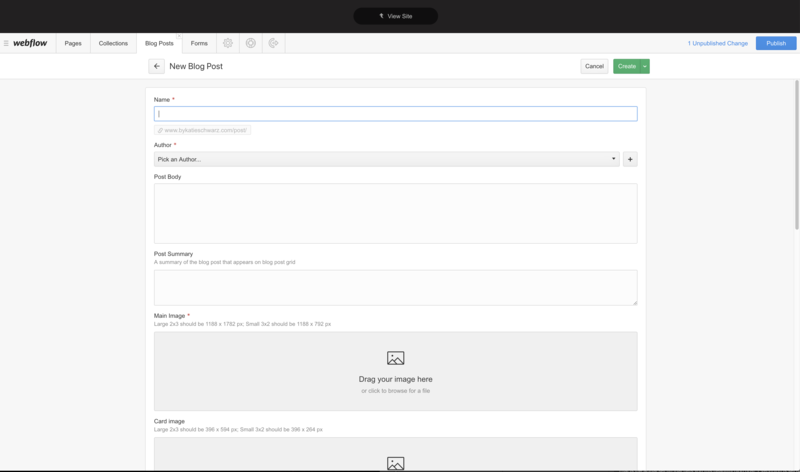 Pretty much any worthwhile website builder is going to have CMS capabilities these days. So, what makes the Webflow version special? They have created a really flexible CMS that you can customize to make your life easier! Want to build a custom Pinterest Save button, and link it to your blogging set up? Done! Want to build an image database that your VA can access without giving them access to your entire website? Done! Want to filter and link to create perfectly curated posts for each visitor? Done! Want to control exactly how your blog post collection or portfolio collection or testimonial collection looks on different pages? Done! See the trend here? You can do almost anything with the Webflow CMS. Well, I havenâ€™t figured out how to make it clean my house yet...but you get the point. Donâ€™t get me wrong, WordPress (the .org not the .com), is a powerful platform. It has a lot of flexibility and can be used to power a lot of sites with complicated needs. Iâ€™ve worked in WordPress and there are several things I donâ€™t like: There are a lot of hidden costs and maintenance. When you first dive in, you know you need hosting and a theme. Sounds easy enough. Most people start with shared hosting which is a bargain. You purchase a nice theme that has a beautiful demo site. Boom, done! Right? Not so fast! That bargain hosting is probably not fast enough, so you upgrade. Then you'll probably need to pay for premium plugins to get the functionality that you want. You should also set up a CDN, an SSL, make sure your host is optimized, setup a security plugin (so you don't get hacked), etc. Oh, then you need to make sure you keep the theme and all your plugins, and WordPress itself updated. It takes a lot of work. When in doubt K.I.S.S: Keep It Simple Sister! 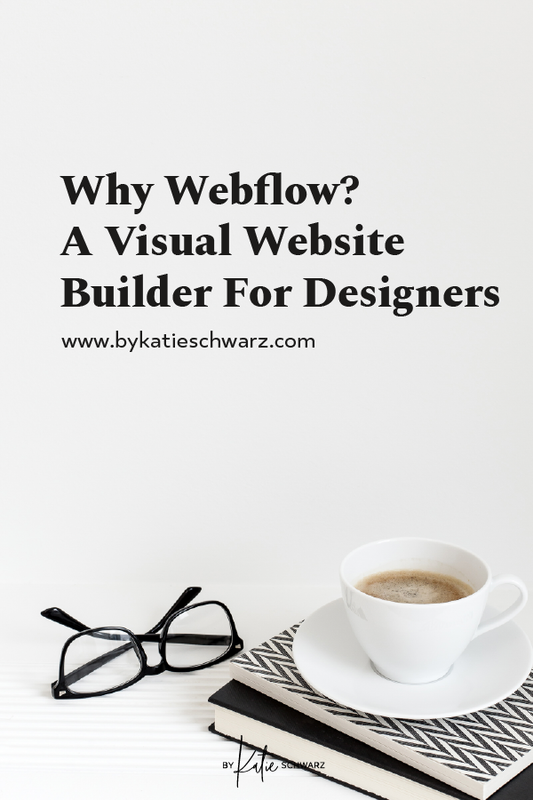 Keep reading to see how Webflow can make your life easier. Webflow is really easy in comparison. Their hosting has three simple plans, and comes with things like CDN (which, by the way, is a technical service that makes your site load faster), SSL, automatic backups, caching (also designed to make things quick), auto-updates, security, AND you donâ€™t have to worry about your site crashing with too many visitors. Hello going viral! So, Iâ€™ve already touched on some of the hosting features in the previous section. However, there are so many things that Webflow makes simple. A few notable features include: Zapier integration (gotta love a good Zap! ); a really simple Editor for VA contributors, or just to make easy updates yourself; auto image resizing to keep things looking great and speedy on all screens; RESPONSIVE (your site HAS to be mobile ready these days! 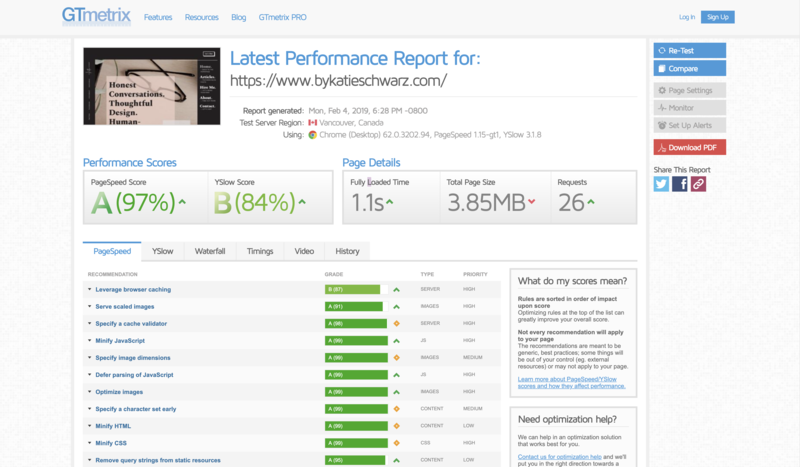 ); Interactions let you create animations easily; easy SEO control and really simple, automatic blog SEO; 99.99% uptime and 24/7 monitoring (no need to add a monitoring plugin); support (email, really helpful forum & amazing tutorials). Out of the box stats on an actual Webflow site. These stats were achieved with NO EXTRA EFFORT to speed up my site, and I have custom fonts installed and a large background image. Those things tend to slow things down, but Webflow has me covered. Automatically. Actual screenshot of the blog post template on my site. That is the actual set up that gets you this beautiful blog post. Everything is set up in the Designer, and you only need to interact with the Editor to do most tasks. Need to update the headline on your homepage? Easy-peasy. No code, not complicated back-end. Just click and type. After you log in, of course. What really makes Webflow stand out is that you arenâ€™t locked into a rigid template. Need to switch out a feature? No problem. Need to add a headline on top of your hero image? No worries if your template includes that feature or not. What if you pivot in a year, and your site needs a major structure change, but you like a lot of its current features. NO WORRIES. Like, really; Webflow can handle that. Every system has its downside; itâ€™s true. Iâ€™ve shown you how simple and clean the Editor is, but the Designer interface has A LOT more functionality. So, it is more complicated. I would say you need a decent level of tech savvy and some time to learn the system if you want to DIY. Starting with a template is a great option in this case. Again, and actual screenshot of my site. The designer feels very familiar if you have experience with Adobe programs. UI, or User Interface, is a very personal preference type of thing. I personally really like Webflow's UI; it works the way I think. But does it offer e-commerce? Yes! They recently released the first version of e-commerce. Style-wise, it blows everything else out of the water. They are still developing more advanced features like selling digital goods. But, I'm so excited about how much customization is available. If you need a shop that stands out from the competition, this is it. Make sure you make a list of your must have features and compare with their current version. Have a question? Shoot me a message! Iâ€™d love to give you an answer. 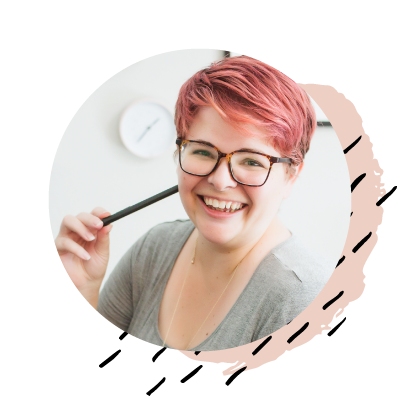 Designer and branding mentor: helping you stand out with thoughtful design and human-friendly branding. Choose your fave image and pin away! Finding images for your business can be a major, time-consuming headache. Itâ€™s easy to get overwhelmed, so here are some simple steps to ethically sourcing images that are wow-worthy. Practical steps to end the analysis paralysis and choose the best software for your business. Because you don't have time to get stuck in endless research. #Shopify headaches? Setting up shop on Shopify or somewhere else can quickly get overwhelming. I'm planning some resources for my maker, artist and product folks. But I'd love to hear from you! What do you find most difficult about setting up your ecommerce store? If you need or want to mostly DIY, where do you need the most help? Is your content glance-proof? Can a potential customer or client quickly glance at your sales page or social media post and get the main point?â € â € One way to do this is to lead with the main point or a compelling question/comment. This is true in all kinds of online communication, but especially on social media. You don't want the best part of your post to get buried behind the "read more" link.â € â € This sounds a bit like copywriting advice, but there is a lot of overlap with brand strategy here. Because a great brand strategy will always be clear. And good design will always highlight the most important information, and break everything up into manageable portions.â € â € Speaking of glance-proof content, have you jumped in on my bumper sticker challenge yet? It's a great way to easily share a main idea or value for your biz in your IG Story. Grab the template at the link in my bio or screenshot it from my Stories Highlight. Be sure to tag me so I can share! Insta Story Challenge: What would your biz bumper sticker say? ðŸš— ðŸš™â € â € I saw a car at the grocery store this week with a LOT of bumper stickers. And you know what? It was really easy to tell at a glance what she stood for. â € â € Can a potential customer or client quickly glance at your website or social media page and see what you stand for? â € â € Join me in the Bumper Sticker Challenge! Head to the link in my bio to grab your free Insta Story template. There are even three colors to choose from, so you can stay on brand. ðŸ˜‰ Be sure to tag me in your story so I can share it! Sign up for a weekly dose of encouragement, biz & branding info, updates, and the occasional offer. I know inviting someone into your crowded inbox is a big deal. You can check out recent emails here to test the waters.